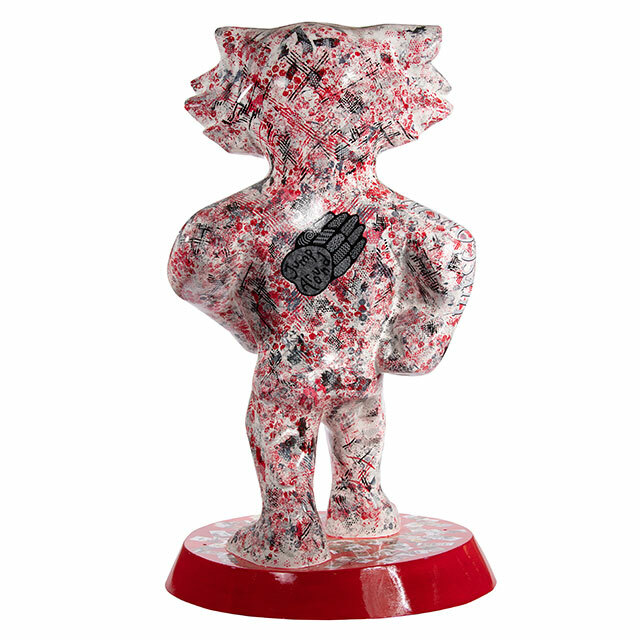 Household items (like potato mashers and bubble wrap) were used to apply acrylic paint in a random, funky pattern over the entire statue. 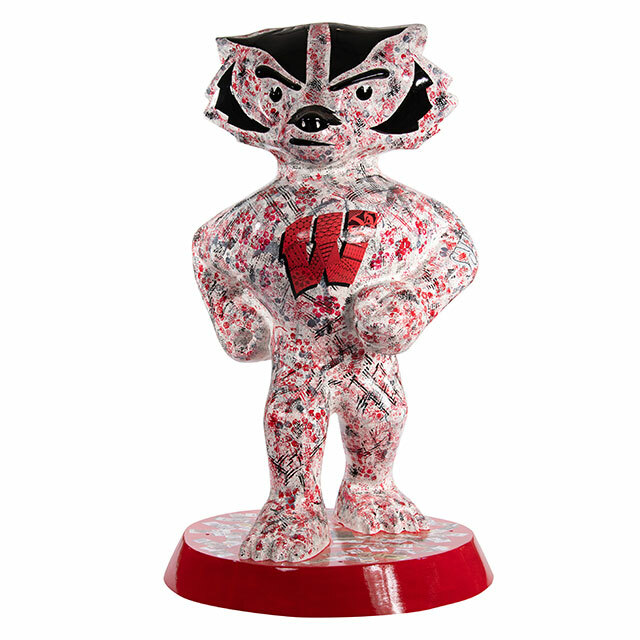 Handpainted details, including Bucky's face, basketballs, footballs and hockey sticks and pucks are incorporated into the Motion "W" design on the front and the Jump Around Badger paw design on the back. The base is covered with a collage of ticket stubs and other Badger memorabilia.